Yesterday’s word from the trail, “Nice lunch spot at Cutthroat Pass! Spectacular mountain landscape. Then just a nice trot down the hill to the camp below the pass.” Today’s word, “Leaving a pretty, if buggy, camp and heading for Rainy Pass. It’s been a Great trip!” This is the last day of their adventure. 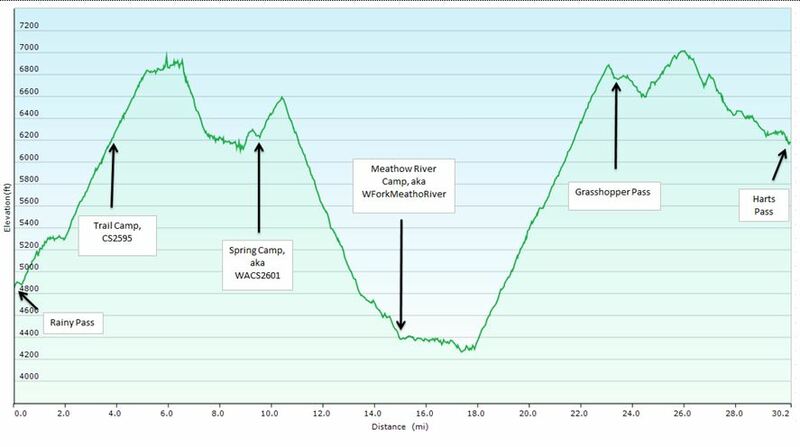 It will be an easy 3.8 miles downhill to Rainy Pass and highway 20. Pass To Pass is more than just a hike for people with Parkinson’s. It is also a fundraiser for organizations that raise money for finding a cure and enhancing the lives of people with Parkinson’s. On our donate page you can give to any of three worthy organizations. I am going to give $2 per mile. 32 miles makes my donation $64.